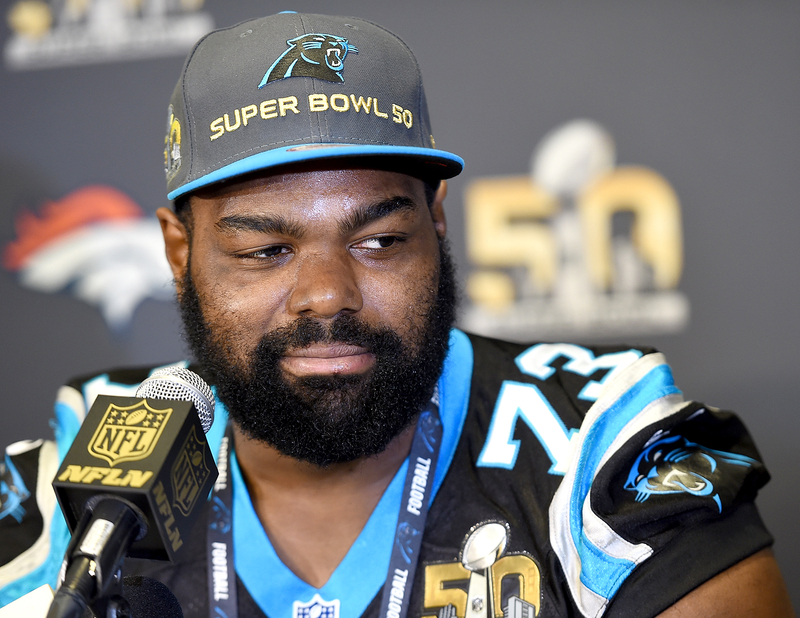 NFL player Michael Oher, who inspired the 2009 drama The Blind Side, was cited for allegedly assaulting an Uber driver in Nashville, Tennessee, ESPN reports. The incident reportedly occurred on April 14. According to a report, the Uber employee claimed that they got out of the vehicle after the Carolina Panthers offensive tackle, 30, suggested that the driver didn’t know where he was going. The report said that “the victim then put his hands towards the suspect’s face and the suspect pushed him down onto the ground” and “that the suspect then kicked him in the leg while he was on the ground.” Oher was allegedly with four of his friends at the time. The Memphis, Tennessee, native is due in court on May 8 for the misdemeanor assault charge. Oher’s upbringing made headlines when Quinton Aaron portrayed him The Blind Side, which earned Sandra Bullock an Oscar in the Best Actress category. The John Lee Hancock-directed movie also stars Tim McGraw and Lily Collins.